It’s nearly 7:30 a.m. and milking has just finished on a small 50-cow dairy. Now, it’s time to mix the herd’s feed ration—which includes a few bales of dry alfalfa—and let the cows loaf for a while before the evening milking. This could certainly be the scene on any dairy in Wisconsin or Vermont. But this scenario played out in Japan … and the alfalfa the farmer fed traveled nearly 5,000 miles, from Washington state’s Columbia Basin, where Calvin Calaway and his father, Courtney, operate Calaway Company. 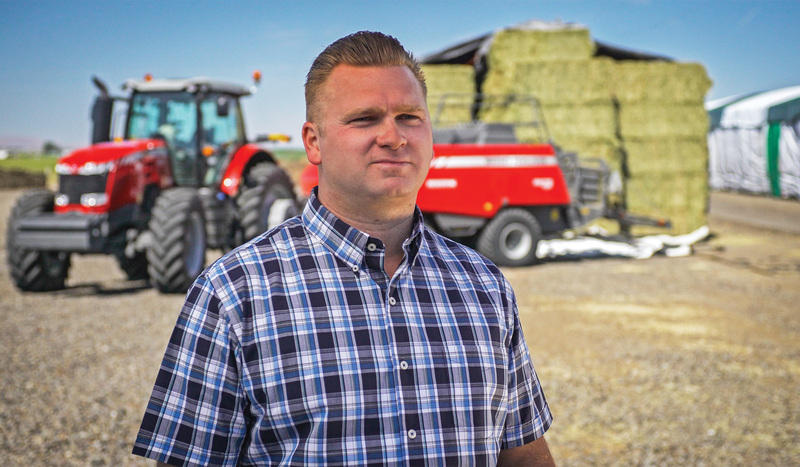 “My father grew up on a hay operation with his dad—my grandfather—who was one of the pioneers in exporting alfalfa products to Japan in the late 1970s,” says the younger Calaway, noting that Calaway Company started soon after that in 1985. “From that start, Dad expanded into his own operation, started growing his own products, and, in early 2000, began exporting hay on his own. Diversified offerings. While alfalfa accounts for a majority of their acres, Calaway says the family also grows corn and other rotational crops popular in the Columbia Basin. Timothy hay, which the family grows, has become more in demand by the export market and by horse owners in the United States. Calaway says timothy provides several benefits to growers who also produce alfalfa. For one, alfalfa growers already have all the equipment they need to grow and harvest timothy. Plus, timothy works well in rotation for fields that need a rest from alfalfa production. Dan Undersander, forage agronomist at the University of Wisconsin-Madison, says there are other agronomic reasons for growing grass hay as well. Some grasses, for example, establish faster than alfalfa and produce more total forage yield in a seeding year. He says grasses also provide a wider harvest window on second and later cuttings. Plus, grass regrowth is primarily leaves, which change little in quality if harvest is delayed a few days. No matter which crop the Calaways grow or export, though, the quality must be maintained from the cutting stage through double compression and shipping, if it’s going to be accepted by overseas buyers. “The stage I like to cut alfalfa is right before the bloom stage,” Calaway says. Calaway explains that, weather permitting, they also prefer to cut hay in the middle of the day. He says the plant more easily releases moisture then, improving drydown and helping conserve the plant’s sugar. Calaway says he also takes windrow width into consideration to match the yield potential and forecasted drying conditions. “The wider we can lay our windrow, the quicker the dry time, which can be important when we need to get it into a bale before that rain comes,” he explains. 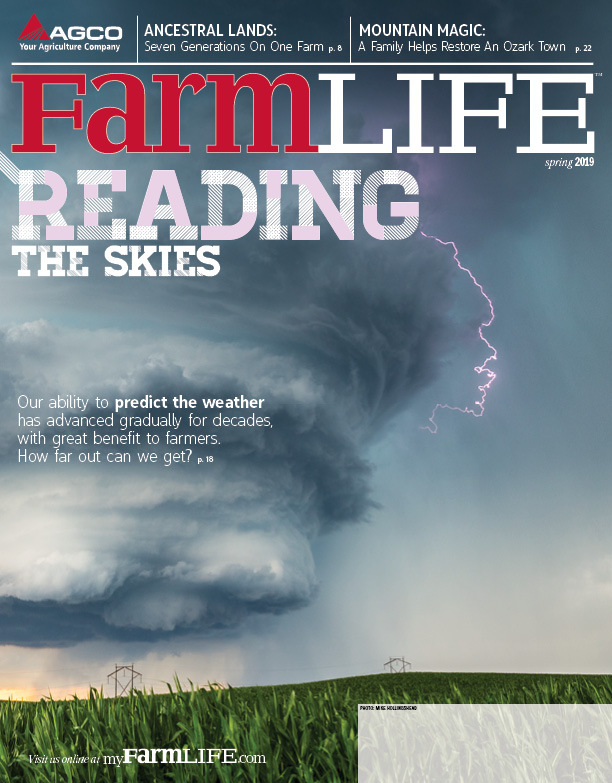 “On the other hand, if we put a windrow on the wet ground, it’s hard to get that moisture out of the crop, and it can actually increase the amount of time that we need to get it dry. Optimal moisture for us in a big bale is as dry as possible without sacrificing leaf retention,” he adds.